Yes, you do. A will is a legal document which ensures that your property is transferred according to your wishes after your death. If you don’t have a will, here are five things that can happen. We found this list at nerdwallet.com. Spendthrift heirs – If you have heirs who aren’t equipped to handle a large sum of money, receiving it may cause damage. Perhaps these heirs are bad at handling money or, maybe, they’re drug or alcohol addicts. Unexpected or contested heirs – There may be confusion about who the beneficiaries really are. Sonny Bono, musician and politician, died without a will. His ex-wife, Cher, and a man who said he was Bono’s son tried to claim part of his estate, which his wife, Mary, contested in court. Prince’s estate is another classic example. Many people came out of the woodwork claiming to be relatives, entitled to a piece of his assets. Property (and probate) in multiple states – If you own property in more than one state, your estate will have to go thru the probate process more than one. Probate is a costly and timely process, even if you just go through it once. Image if you own property in four states and your heirs have to hire four attorneys and go through the whole process four times. Fabricated wills – If you don’t have a real will in place, it’s possible for someone to create a fake one – especially if your estate is large. A famous case involved the estate of tycoon Howard Hughes. When he died, several supposed wills surfaced, and his estate spent millions of dollars defending against the false documents. Beneficiaries don’t like the court appointed executor – If there’s no will, the probate court will appoint one. It may likely be an experienced attorney but not necessarily one the family knows. It may take a great deal of time for this person to take inventory, appraise assets and distribute the estate. If you have a will and name a family member as executor, that person will usually do a much faster job, possibly because that person is also a beneficiary. If you don’t have a will, you should prepare one now. Otherwise, your assets may not be distributed the way you want them to and a lot of extra money will go to attorneys and the probate court and not to your heirs. For more information about wills, trusts and other estate planning documents, go to www.diesmart.com. This entry was posted in Dying Without A Will and tagged beneficiary, beneficiary law, deceased, die without a will, diesmart, Estate Planning, executor, inheritance, Probate, will on November 6, 2016 by Minna Vallentine. Who Pays Your Debts When You Die? According t o a U.S. News and World Report story out this week, most probably your unpaid bills will be subtracted from any inheritance you leave to your loved ones. In 2013, more than 61% of senior households had an average of $40,900 in debt. And it’s likely that many will die with those debts unpaid. If you don’t have any assets, your debts may die with you. However, if you have assets, your creditors may be able to collect what they’re owed from those assets and the amounts subtracted from what your heirs will inherit. 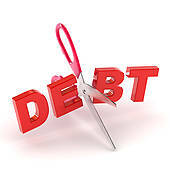 How debt is handled depends largely on the state in which you are living at the time of your death. Nine states are “community property” states. That means your spouse is responsible for any debt incurred during the marriage. In other states, a spouse is not responsible for bills that are solely in the other spouse’s name. And some types of assets, such as retirement accounts and life insurance payouts, usually can’t be claimed by creditors. 1) Consult a probate attorney. 2) Notify creditors of the death. Once this is done, those accounts are frozen. 3) Catalog your loved one’s assets. 4) Determine what your loved one owes. That will help determine what, if anything, needs to be sold to pay the debt. 5) Have beneficiaries file for assets that pass without probate. 6) File tax returns. Even after death, tax returns need to be filed on time. For more information about estate planning and helpful hints on what to do when settling a loved one’s estates, check out our website www.diesmart.com. This entry was posted in Estate Planning and tagged assets, creditor, debt, deceased, diesmart, Estate Planning, Probate on June 5, 2016 by Minna Vallentine. Are your loved ones protected when you die? Larry and Susan had been living together for more than 20 years. They never legally married; they said once had been enough. A piece of paper wouldn’t change how they felt about each other. Larry had been married before and had two sons. Susan had also been married previously and she had a daughter. When Larry’s father became incapacitated, they moved into his house to take care of him. His father, to thank them for all they’d done, left the house to Larry in his will and named Larry beneficiary of his life insurance policy. When his father died, Larry inherited the house and Susan and Larry continued to live in the house. Larry promised to deposit the check from the insurance company into their joint bank account as soon as it arrived. As Larry was crossing the street on his way home from work one day, he was struck by a car driven by a drunk driver and he died almost instantly. Larry didn’t have a will and had not left any legal document naming Susan as his heir. They lived in a state that did not recognize common law marriage so, when he died, his sons inherited everything. They forced Susan to move out of the house and refused to give her any of the proceeds from the life insurance policy. In essence, Susan was left with almost nothing! Families today are very complex. Some are the traditional married mother and father in their first marriage. Many more are couples who were previously married to other spouses or who are legally married gay couples. However, many people live together without benefit of a legal ceremony. This mixture of circumstances makes inheritance much more difficult and complex. The only way to be sure your loved ones are protected is to prepare a will or a trust naming the person(s) you want to inherit your assets when you die. Otherwise, state law will dictate who receives what. Not you. It’s frightening that more than half of the people living in the United States today do not have a will and have not protected their loved ones. You can find a simple will form on the internet or can meet with an estate planning attorney to discuss the options that are best for you. Don’t be like Larry. Act now so those you love will be protected when you’re gone. For more information about wills and estate planning, go to www.diesmart.com. 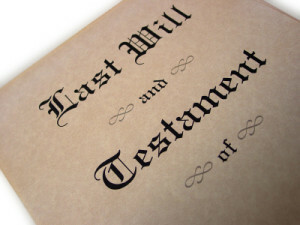 This entry was posted in Dying Without A Will and tagged beneficiary law, deceased, die without a will, diesmart, Probate, Settle an Estate, trust, will on October 4, 2015 by Minna Vallentine. Twitter – When do the Tweets stop? If a Twitter user dies, here are the steps you must take to remove his or her account or to save a backup of their public Tweets. Your full name, contact information (including email address) and your relationship to the deceased user. The user name of the Twitter account or a link to the profile page of the Twitter account. A link to a public obituary or other news article about the account holder’s death. This entry was posted in Funerals and tagged beneficiary law, deceased, Digital assets, digital media, online assets, Probate, probate court, social media, Twitter, www.diesmart.com on November 8, 2011 by Minna Vallentine. Yahoo – What happens to a deceased’s online account? Any free Yahoo account will automatically be cancelled after it has been inactive for 90 days. Premium services, however, will continue to be charged until Yahoo has been officially notified of the death of the account holder. 2) Notification of their appointment as executor. 3) A Copy of the death certificate. What if the executor or family member just wants the deceased’s password or access to their Yahoo account? No password will be issued by Yahoo to the executor or anyone else. If you’d like more information about this or other related topics, check out our book “Grave Robbers…How to prevent identity theft of the deceased”. This entry was posted in Funerals and tagged beneficiary law, dead, deceased, digital asset, Digital assets, email, online, Probate, probate court, www.diesmart.com on November 3, 2011 by Minna Vallentine.